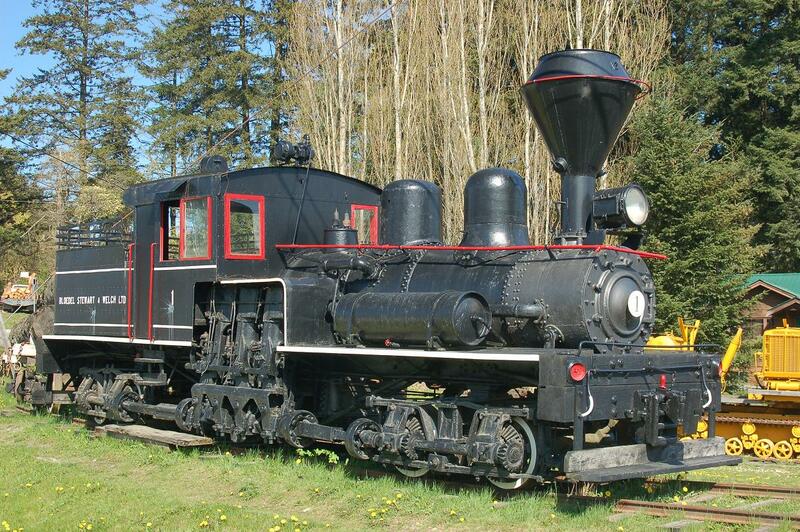 Railpictures.ca - Hiawatha Pete Photo: Bloedell Shay Type Steam locomotive #1, Duncan, BC. For more pics from my collection see northamericabyrail.info | Railpictures.ca – Canadian Railway Photography – photographie ferroviaire Canadienne. Copyright Notice: This image ©Hiawatha Pete all rights reserved.